Travis Ridgen, more recognizable known as "Trav4" is an ice hockey goaltender still playing competition Junior hockey in the KJHL for the Lundar Falcons. Most known for his dead honest and big personality, Trav is one of the most respected voices in the online goalie community which can be seen on his Youtube channel in his video reviews, features, commentaries and his infamous Junior Hockey Vlog series. Hey guys, Trav4 here. So in this article I’m going to be giving you my written breakdown of the VH custom goal skates that I picked up back in September 2016. So VH is a local company for me because I live in Winnipeg and VH operate out of a skate sharpening store called “Custom Edge” here on Waverly street and then they build skates in the back. About a 30 minute drive from where I live in the city. 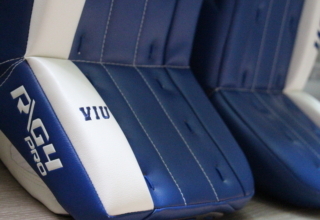 Anyway, VH has been around for a few years but probably in the last year and a half VH has completely taken over the skate market for goaltenders and for good reason which I will touch on very shortly. Why Did I Order from VH? Well there are a few reasons why I ordered VH. Aside from seeing countless professionals switching and all the positive reviews so far, I was really attracted to the look of a white cowling, black boot with white accents. If you know anything about me as a Youtuber or social media personality, I love style. On top of that VH footwear offered me NHL pricing on skates which was I believe $100 or $150 off (I can’t remember exactly what it was). On top of that after speaking with Vice President Garth Smith, he agreed to do some video interviews in regards to VH for the channel. Below is one answer plenty of your viewer questions. What makes VH so special? So basically all of the competing brands has design and construction. 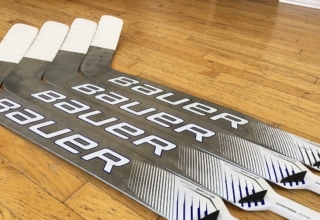 So for example the Bauer 1S skate has a pre-existing feel and form to it, heat molding it will help to make it more of a custom feel but you’re holding a generic skate to your foot. When I say generic I mean that the skate is the same everywhere just in different sizes. What VH does that is so special is they build the skate around your foot from the inside out. So if you’re a local in Winnipeg or in Toronto (I believe) you have access to the 3D foot scanning technology, if you’re over seas then you can download a PDF from VH that is a way to measure your foot with a piece of paper and pen, you then print it out and mark off certain key points that VH needs. From there you scan it and send it back. So the skate is built to perfectly adapt to your foot and give you (in theory) the best ability possible to execute any movements on the ice. Here is a video of the 3D foot scanning technology. So the performance right out of the gate is second to none. The skate is beyond responsive to your foot. Coming from an older pair of Bauer Supreme ONE100 skates from 5+ years ago it was night and day difference. My backside pushes have the ability to get more dig and get more out of the mechanics of my pushes and I love it. At first they were INSANELY stiff because they are a stiffer built skate and for the first couple ice times it drove my feet nuts but after that it’s been smooth sailing. So if you are custom ordering you’re looking around 4 weeks. Keeping in mind I’m a local and got mine in person 4 weeks after paying for them. 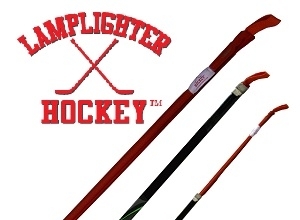 Now on the website VH they offer a 1 piece and 2 piece skates, but I have the custom boot from VH and then added a Bauer Vertexx 2.0 cowling on them. Right now VH doesn’t have the custom boot only option on their website so I’m not sure if they are/aren’t doing that anymore because their social media manager told me a couple weeks ago they want to focus more on the 1 piece but specifically the 2 piece goal skate from now on. The 1 piece is what it sounds like, everything is 1 piece on the skate. 2 piece is a custom boot with no cowling, just the edge holder (similar to 1S) and this is what Carey Price switched to this year. I went with the boot option and added a cowling simply because it’s the cheapest option and aesthetically it looked the best. I’ll get into price later on. Here is a video on the custom ordering process that Garth and I did. 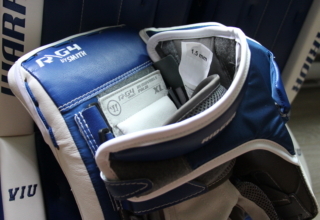 So VH offers a 6 month manufacturing warranty on the skates. So if an eyelit pops out (which happened on my first ice time) they’ll fix it right away no questions asked. If you decide to run them over with a truck to soften them up and test the durability then (first off this is a horrible idea) they will not cover it because it’s not a manufacturing error. So this is where 90% of you are going to exit this page and go back to looking at discounted skates online for clearance but just wait. So I paid $672 CND with my discount and with taxes on the custom boot so you are looking around $800 ish. 1 piece is around $1100 with taxes in Manitoba and the 2 piece is just under $1000 with taxes in Manitoba. 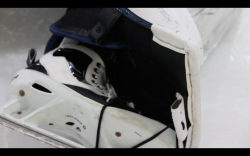 If you order the custom boot that is the cheapest option but I did that cause I had my current set of Bauer Vertexx cowlings to put on, if I didn’t have as much blade or as much life left in the cowlings I would have had to spend another $200 on cowlings so my skates would have been $872 with my discount, or probably just under $1000 without a discount. I just recently picked up a new set of cowlings cause my current ones have almost no blade left and I can put my old cowlings back on my ONE 100 skates and use those at the ODR without wrecking my VH skates. So at the end of the day it comes down to your wallet and financial situation. I was overdue for skates so I had no problem spending $672 on my skates. Plus my junior team gave me $350 for them so in turn my skates really only cost me $322 at the end of the day. This is slightly unrelated to price but I absolutely love the Bauer Vertexx 2.0 cowlings, I personally think they are the best cowling money can buy and thats why I use them. Here is the link to my video review of those if you aren’t already sold the these cowlings before reading this. At the end of the day it totally comes down to your financial situation. These skates could come with a gold brick as a souvenir with every purchase but if you can’t afford the average $1000 price tag then you are kind of in a tough situation. I personally would recommend, love the skates. Think they are the best on the market you can get and would switch on my own dime unless something happened to these. 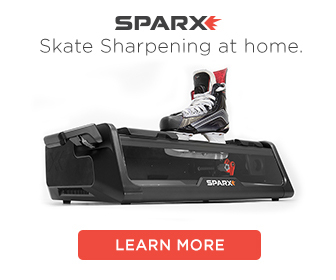 So if you can afford it, BUY THESE SKATES. If you can’t afford it then you may have to just wait especially considering how expensive goaltending equipment is now a days. With all of this in mind I still stand behind my original video review and my original review score. So guys thats the review, what do you think. Let me know your opinions on Instagram, Twitter or Youtube all @ Trav4oilers. 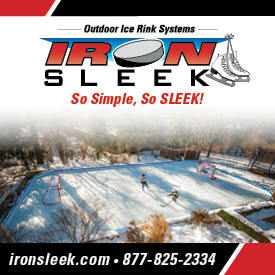 If you want to see more reviews check out the sight for all the goalie reviews you’ll ever need. 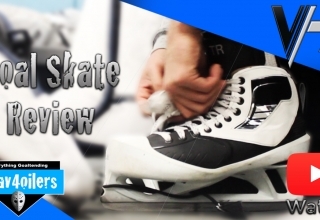 I want to thank you all for taking the time to read this in-depth review of my VH custom goal skates.